The Chicago Cubs have always encouraged fans to embrace the tradition of the team, but one tradition that has been around for decades has seen a massive surge in popularity over the past two seasons at Wrigley Field. 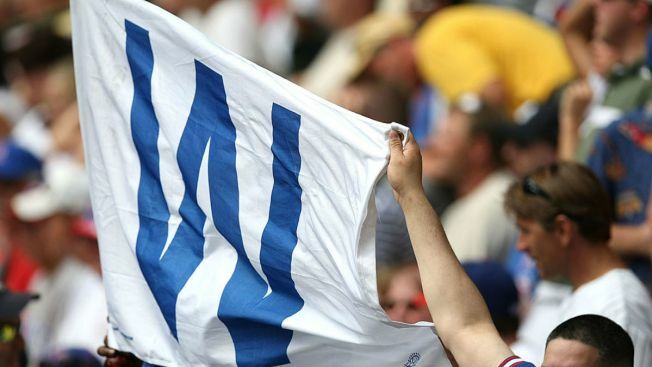 That tradition is the flying of the white “W” flag, which has been done to indicate Cubs victories since the 1930’s. In more recent times, fans have been encouraged to #FlyTheW by the team itself, and sales for the items have been brisk as the Cubs have won more and more games. So how did the tradition start? To answer that question, one has to go back nearly a century to the days when the Wrigley family owned the team. The Wrigley’s also owned a company called Wilmington Transport, which ferried fans and players alike out to the team’s spring training facility on Catalina Island in California. As fans can probably surmise, the company’s ships would bear a “W” flag, but instead of the current white flag with a blue letter, the flag instead was blue with a white letter. After the Cubs constructed the new bleachers and hand-operated scoreboard in the late 1930’s at Wrigley Field, it became a tradition for the operators to raise a “W” flag for Cubs wins and an “L” flag for losses. The colors remained the same until the 1980’s, when the team began retiring the numbers of legends like Ernie Banks and Billy Williams. Once those flags became fixtures atop the foul poles at Wrigley, the “W” flag was changed to a white banner with a blue letter, and thus the current flag came into use. Now, with the tradition having been around for nearly 80 years, Cubs fans are being encouraged like never before to display their pride in the team, and the Cubs are taking advantage of it. In videos posted to their Twitter feed, fans are shown throughout the world displaying the “W” flag to celebrate the team’s postseason success, and Kyle Schwarber even starred in an ad about the famous banner.